FRANKFURT, GERMANY: A top executive of US car manufacturer, General Motors, has warned that Opel's loss-making Bochum plant in Germany could be closed two years earlier than expected unless management and unions agree a turnaround plan soon. Opel announced in December that it will halt auto production at Bochum plant in 2016, but pledged to keep it running as a parts distribution centre. Nevertheless, management and unions must "come to an agreement by February," or the plant could be shut down at the end of 2014, GM vice chairman and Opel supervisory board chief Stephen Girsky warned in a letter to Opel's workforce. "If no agreement is reached in our negotiations, we'll keep to our existing site agreement, which expires at the end of 2014," Girsky wrote. "That means Zafira production in Bochum would end and all production activities in Bochum be completely shutdown by January 2015." 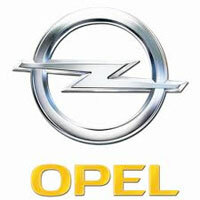 Opel employs about 3,200 people at Bochum. The car manufacturer, which has been making losses for years, is hoping to launch a number of new models in the coming years and cut costs in order to bring it back to profit. Girsky said the workforce must be prepared to make sacrifices. "All employees must make their contribution," he said. "Opel could not, for example, offer any wage increases until it started making profits," Girsky said. GM estimates it will lose more than US1.5bn on its European operations this year and wants to steer Opel and its British sister brand Vauxhall back to profit by 2015. Opel and Vauxhall are heavily dependent on the European market where industry-wide sales fell by 15% in the first nine months of 2012, according to data published by the European automobile manufacturers' association.